In a speech delivered to the American Bar Association, Attorney General Eric Holder signaled that the Obama administration wants to move away from the philosophy of mass incarceration. Holder’s analysis of the criminal justice system is reminiscent of Michelle Alexander’s The New Jim Crow except that Alexander’s bold racial claims are softened considerably. Nonetheless, the AG acknowledged that the criminal justice system is systematically unfair to people of color. The speech highlighted three particular initiatives: those designed to cut down on the incarceration of low-level, non-violent drug offenders with no association to major drug cartels; policies designed to expand the compassionate release of aging prisoners who pose no threat to public safety; and encouraging alternatives to incarceration. I was pleased to hear the AG acknowledge that federal prosecutors are making too many federal criminal cases. Having covered a number of federal cases, Alvin Clay, the Colomb family, Ramsey Muniz, and the IRP-6, I know how easy it can be for the federal government to make a weak case stick. Federal prosecutors have been handed sweeping powers that translate into a 98% conviction rate. They can’t simply indict a ham sandwich–add a little mustard, and they can get a conviction! It will be interesting to see if Holder’s critique of mindless prison expansion impacts the immigration system in a meaningful way. 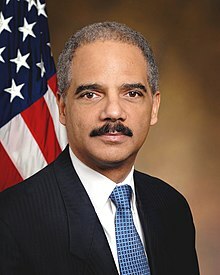 Finally, I was pleased to note that Holder has given the blessing of the Obama administration to the sentencing reforms currently enjoying bi-partisan support in Congress. Below, I have pasted the conclusion to Holder’s groundbreaking call for a new criminal justice regime, but I urge you read the entire speech. The President and I agree that it’s time to take a pragmatic approach. And that’s why I am proud to announce today that the Justice Department will take a series of significant actions to recalibrate America’s federal criminal justice system. I believe Holder made th right move.